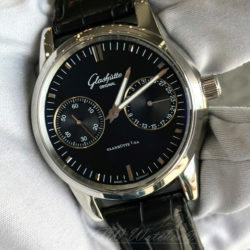 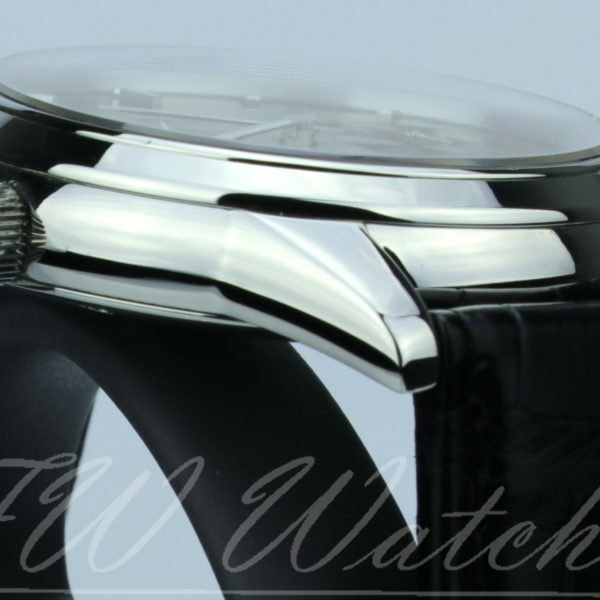 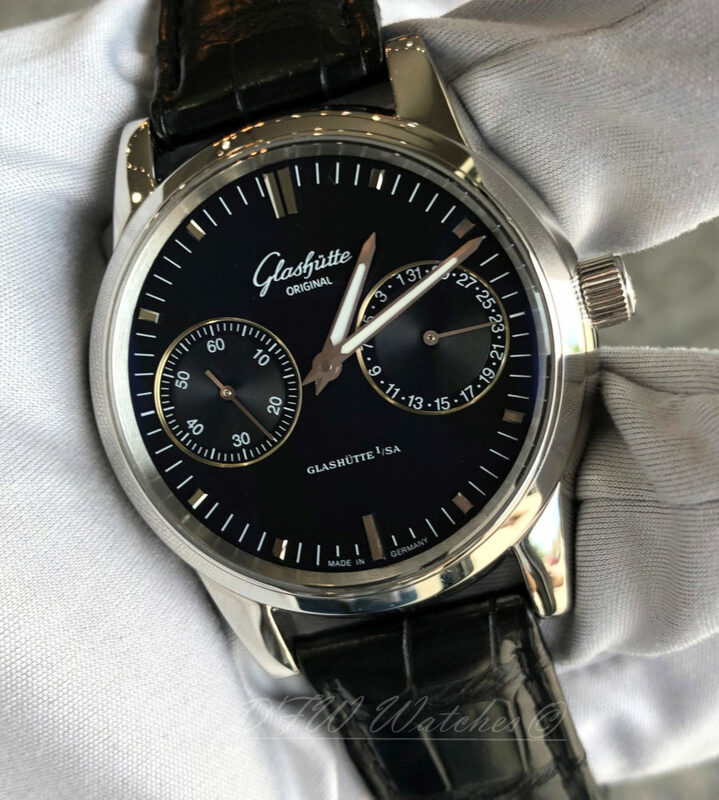 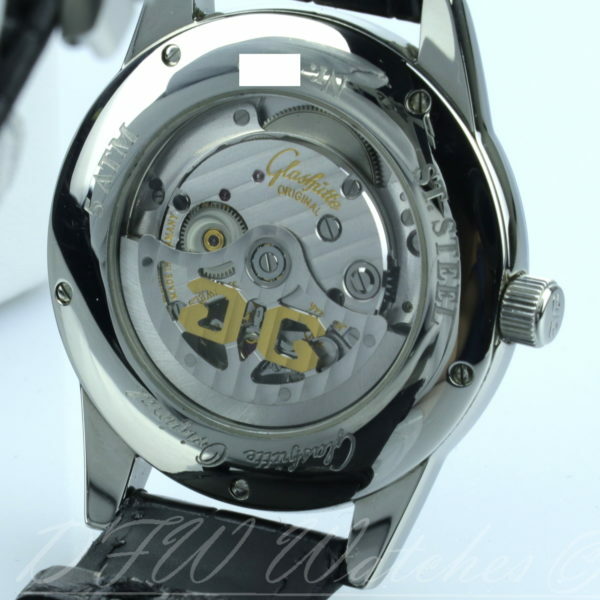 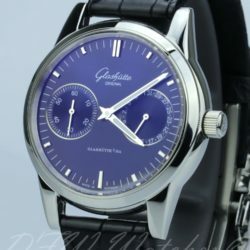 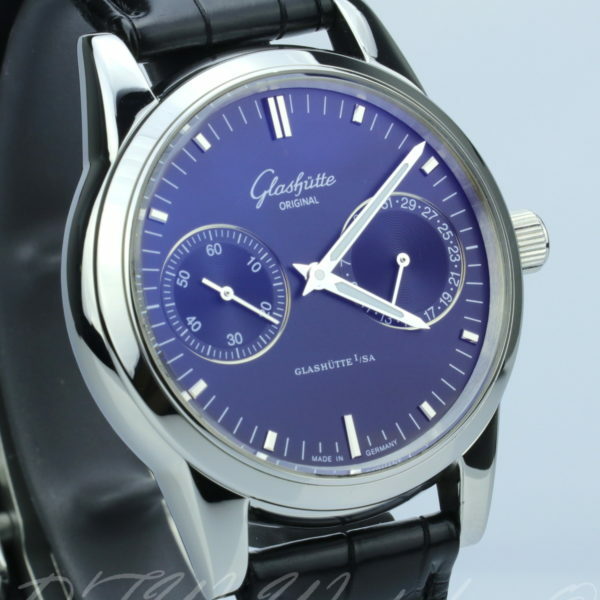 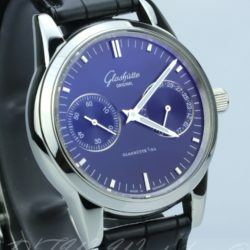 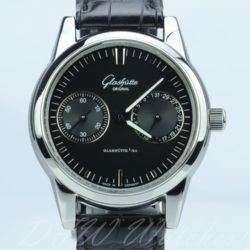 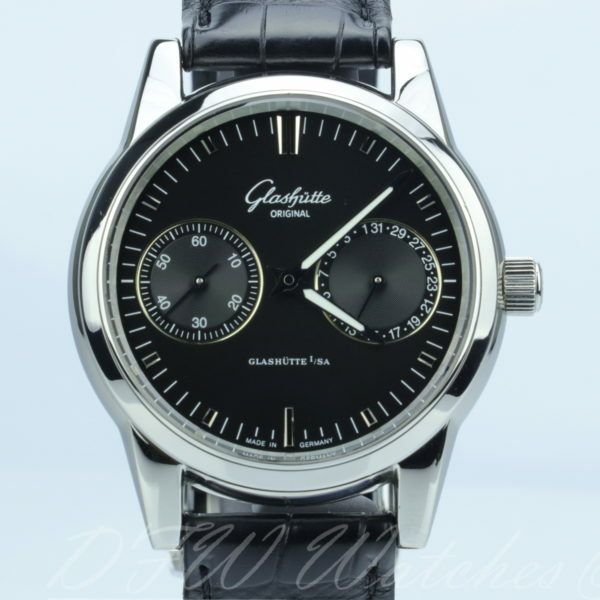 Pre-owned Glashutte riginal Senator Hand Date 39-58-01-02-04 in mint condition. This beautiful, classic dress watch features a black dial with date and seconds subdials. 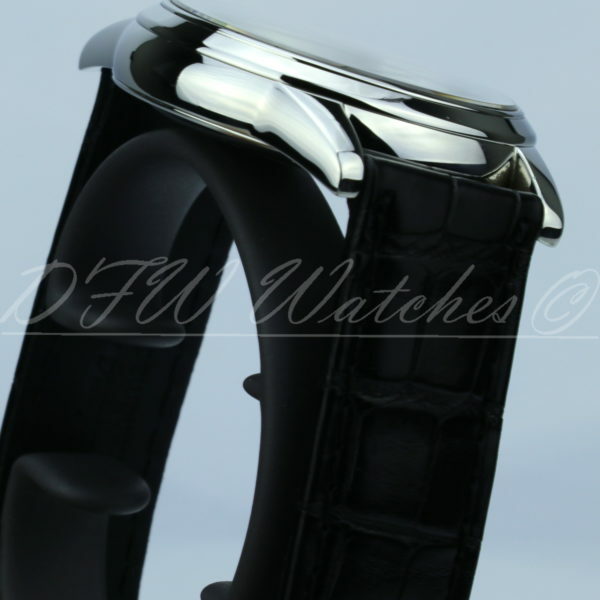 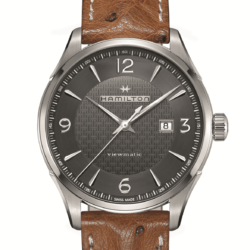 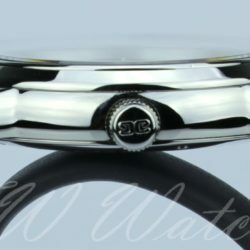 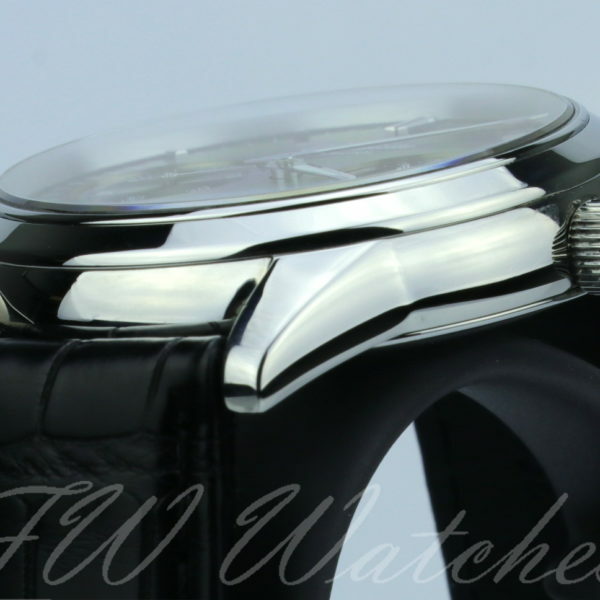 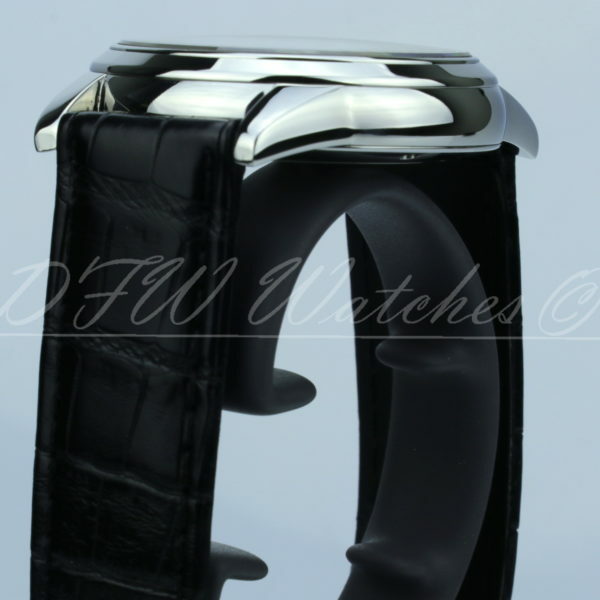 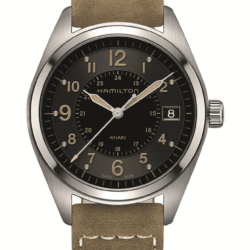 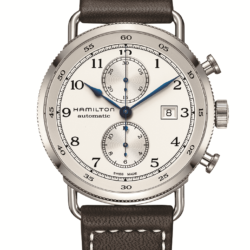 It has a polished stainless steel bezel and case measuring 40mm. 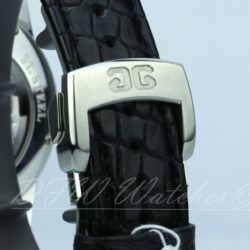 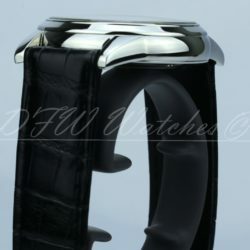 This is mounted on a black alligator strap with deployment clasp. 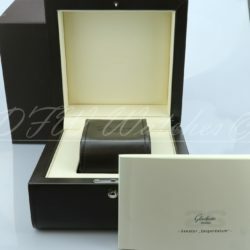 Included are the original boxes, travel case (80% condition), manual, insurance appraisal, and one year DFW Watches warranty. Unfortunately, the original warranty booklet was misplaced. 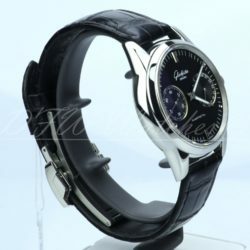 All pictures are of the actual item for sale.